We all have heard about the benefits of basil from childhood. We like to plant it in our garden due to its health benefits. Ayurveda also tells about the benefits of the basil. Basil helps from small to large diseases but it has also side effects. So it is very important for us to know about them. Overdose of Yuginal: Yuginal is the primary element of basil. It is believed that high consumption of basil may increase Yuginal level. The growing level of Yuginal may prove toxic to our body. Yuginal found in cigarettes and some food flavors substances. Symptoms: Blood come in cough, rapid breathing and blood in the urine. Blood is diluted: Overdose of basil may dilute your blood. For this reason, patients who take medicines like warfarin and heparin, they must avoid consumption of basil as it increase the speed of blood thinning from these drugs. This motion can cause a big problem. In addition, other anti-clotting drugs should not be taken with basil. Symptoms: More bleeding during injuries and blue marks on the body. Hypoglycemia: Hypoglycemia is a health problem in which the patient’s blood glucose level is unusually low. Often, the patient eats basil to reduce his high blood sugar level. If diabetes and hypoglycemia patient would eat basil with drugs then their blood sugar levels may even fall down. So it will be very dangerous. Symptoms: Pallor, dizziness, loss of appetite, weakness, irritability. 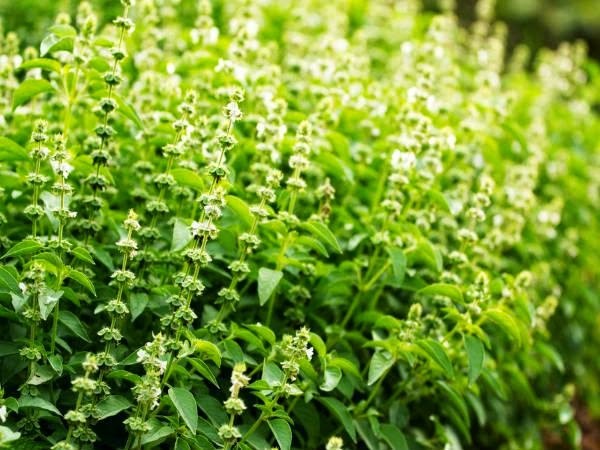 Can affect fertility: Men’s fertility can affect by overdose of basil. This argument was tested on rabbits. The rabbits were divided into test group and the normal group. The rabbits on which the test was conducted had given 2 grams of basil leaves to eat. The test group showed a reduction in sperm count of rabbits. Reaction in pregnant women: If women consume more basil in the pregnancy then side effects can be seen on both mother and child. Pregnant women’s uterus can wrinkle by eating basil which can cause problems during childbirth and may be difficult to further periods. Also, pregnant woman are also likely to be some reaction due to basil. Symptoms: Back pain, cramps, diarrhea and bleeding. Drug Interaction: Basil can create obstacles in our body when we take drugs. This can be proven by using “Cytochrome P450” liver enzyme system. Diazepam and Scopolamine are two drugs which reduces anxiety and vomiting. But basil can reduce the effects of these two drugs and drug levels may increase or decrease in the blood. Symptoms: Heartburn, headache and nausea. Even natural substance has the ability to heal many diseases. However, it does not mean that eating more this substance will not have any side effects. So we should have knowledge of their properties and demerits.